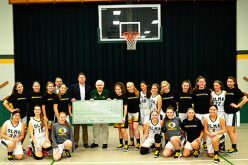 Father Ed Lyons, founder of The Seagull Classic Basketball Tournament, was honored before the Camden Catholic vs. Atlantic City High School game at Holy Spirit High School, Absecon, on Jan. 7. 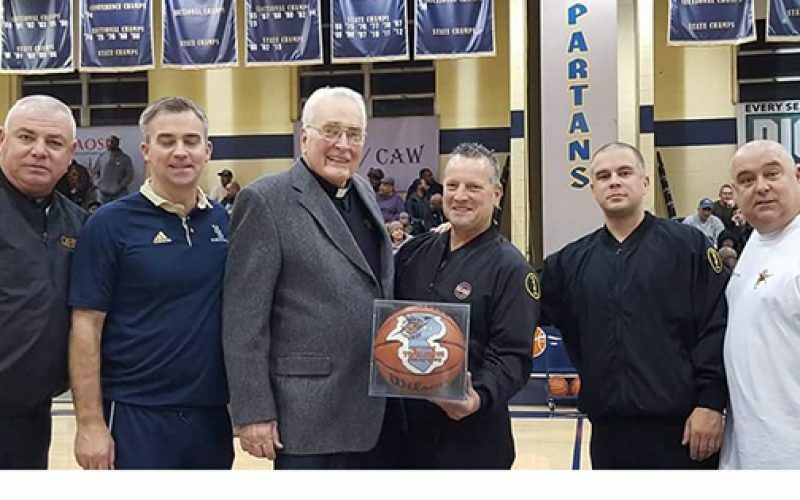 Pictured from left are Dan Bradley, Holy Spirit head basketball coach Jamie Gillespie, Father Lyons, South Jersey Basketball Summit President John Rodio, Steve Selby and Steve Wescott. 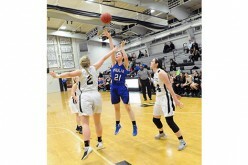 Bishop Eustace, Pennsauken, defeated Saint Joseph, Hammonton, 70-55, on Jan. 6, the second day of the Seagull Classic held at Holy Spirit High School, Absecon. 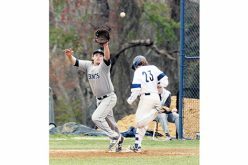 Above, David Cross of Bishop Eustace has his shot blocked. 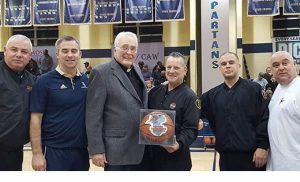 Father Ed Lyons, a retired priest and basketball coach of the Camden Diocese, was honored this year at the 2018 Seagull Classic, a high school basketball tournament he started in the 1970s. 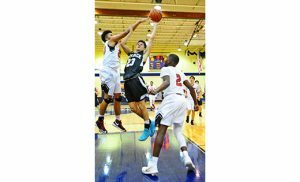 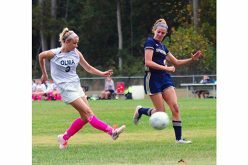 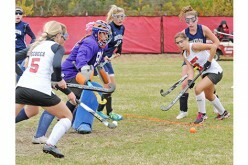 This year’s tournament — the first in decades — was held Jan. 5-7 at Holy Spirit High School in Absecon and included both boys and girls teams from public and Catholic high schools in New Jersey, Pennsylvania and Delaware. 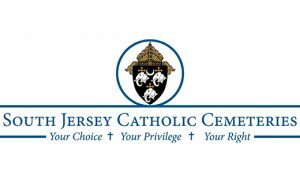 Father Lyons’ original idea was to bring top high school basketball teams to Atlantic City for a tournament in what is now Boardwalk Hall. 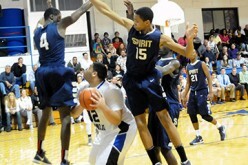 The tournament would move to Villanova, Penn’s Palestra, Drexel, Camden County College and Holy Spirit before spending its final three seasons at Saint Joseph’s University. 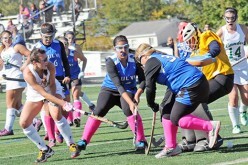 In 1976, a girls championship was added. 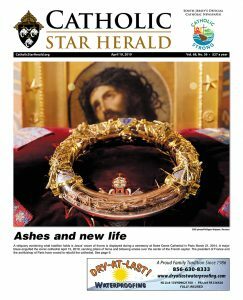 “The games and their competitions brought outstanding athletes and sports journalists from around the country,” said Father Lyons in a note in this year’s tournament program. 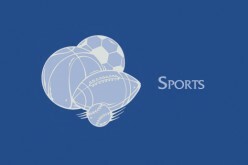 “Many young gifted players went on to stardom in college and the professional ranks.